Putting people first is the way it should be. But I write it that way because sometimes it is not. 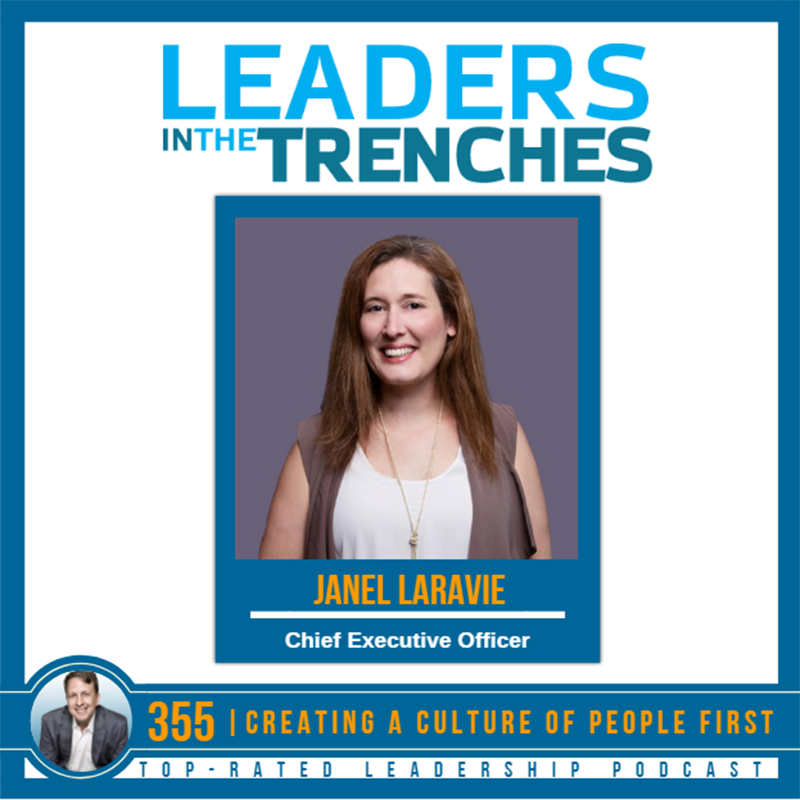 Janel Laravie shares with me how putting people first has changed her culture and business to be among the fastest growing companies in America. Janel’s company Chacka Marketing made the Inc5000 list this year based on putting people first. Learn how creating a culture of people first changes the leadership and results for this company. Target Audience: Janel was the Vice President of Search Marketing and Operations at a full-service agency. Janel is a frequent speaker at search engine marketing events. She has played an integral role in the development of the search engine marketing industry and spearheaded the search for many large and small brands throughout her career. Gene Hammett: Hi, this is Gene Hammett. 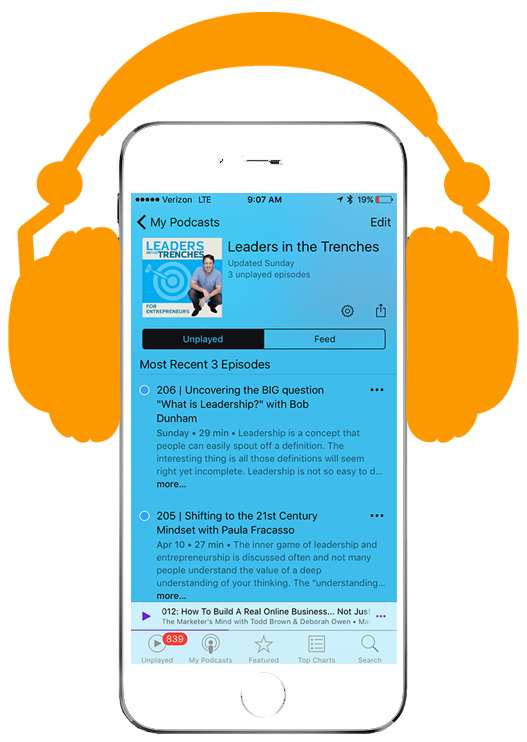 I’m the host of the leaders in the trenches and my question for you today is what does it take to have consistent growth so that you hit the inc 5,002 times in a row? Well, that is exactly the question I asked our guest today, Janel Laravie with shotgun marketing and she really does have such a keen sense of understanding what does it take to create the growth necessary to hit the inc5000 2 times in a row. Now you might be surprised that she doesn’t just track the revenue and the net profit for that and in fact those are not the two metrics that are most important to her growth. The two things that are most important to our growth, our customer retention, employee retention, and the idea behind this is if you have your employees staying longer, they will be able to serve your customers to a better degree. If you’re investing in your employees, they want to stay longer and she talks about a specific strategies that she does to keep employees engaged and empowered so that they are driving amazing results for her clients. So if you were really interested in knowing how to keep growth going in your business and how leadership thinks about growth, it’s not just about the numbers and today’s episode we talked to Janel about how to do that and how to do it really well. All right. Here’s the interview with Janel. Gene Hammett: Hi Janel. How are you? Janel Laravie: Hi, I’m doing well. Thanks for having me. Gene Hammett: Well, it’s great to be here. Leaders in the trenches with you and I’ve already let her audience know a little bit about you, but I’d love for them to hear it from you. So go ahead and tell us about who you are and who you serve. Janel Laravie: Yeah, absolutely. Um, I am the founder and CEO of chocolate marketing. We are working with national and global advertisers on digital media. Um, but more than that, I am a small town girl that grew up in West Virginia, moved to the big city of Tampa, Florida and became an entrepreneur. Gene Hammett: Well, what the reason I’m having you on this show other than your, your expertise in marketing is because you recently made the inc 5,000 list. Tell us a little bit about the first time you met her because this is actually the second time. Do you remember making it last year? Janel Laravie: Yes, I remember last year making it and um, and just this wild feeling of exhilaration to be one of the largest and fastest growing privately held companies in the entire country. And I have goosebumps right now telling you. And that was last year when we were, you know, of 1,500 and something on the list. And um, and then this year the amazing accomplishment of three 67. Gene Hammett: Well, 367 is pretty impressive. So you’re not just an inc 5,000, you’re in the inc 500. Gene Hammett: No. When you think about that, like in, uh, no, not, not everything to you was about the metrics, but for just a moment here, what metrics do you track to actually get your team aligned and, and keep you heading toward this north star of fast growth? Gene Hammett: that is two really big numbers that if you get those right, everything else gets easier, right? Gene Hammett: 367 to be exact. Well, I have so many clients that, that they come to me and they’re so impressed with the numbers that are tracking and I call this performance culture and I am trying to get people to really think about, well, what’s beyond performance culture, which is more of a growth culture and the two things that are most important there are being, putting, you know, a real focus on your employees first and then having a client centric business. I mean, do you understand? I mean, you obviously get it because it’s an alignment what you’re already doing, right? Janel Laravie: Yeah, absolutely. I mean that’s, that’s the key. Um, this, uh, this culture of empowerment. So I’m one of the cool things that’s actually going on today. One of my employees brought me a powerpoint presentation on 25 unique perks that we have here at Chacka. And this wasn’t an ask, this wasn’t a, this is something somebody took the liberty to do, to share with me that and say I want to share this with everybody else. And that’s just really cool. It is cool to me that I have someone on my team that would just take that initiative, um, the desire to share it with others, but also the fact that they feel empowered to do so. And that’s the key. Gene Hammett: Absolutely. So we have about 30 employees that, right? Gene Hammett: And you know, when you, when they do something like this, and I know this just happened today, as you’re telling me, I can see it on your face. You’re just lit up about how someone’s so proud to work for you. When you’re a leader, did you intentionally set out to make this or is this something that evolved over time? Janel Laravie: You know, I think that for me, I have a tremendous amount of pride in what I do and I’m not in the sense that, um, not in the sense of pride as in us one of the seven deadly sins, right? I have pride in the that what I do plays a contribution in the lives of people around me, which might sound like, you know, oh, please lady, you do advertising. But I, um, I truly, I truly feel that I, um, I look at, I have a client that told us that they started a third shift because they, their business had grown so much from working with us. That’s amazing and that’s awesome. But I’m like, I get my whole team pumped up because we’re creating jobs outside of even inside the walls of Chacka. We’re helping to create jobs in the economy around us and that’s just, um, it’s a really empowering thing. Gene Hammett: When you think about engaging your, your team and as a leader, what are some of the top things that, that you want to be intentional to? Uh, so that they are engaged in the work and empowered? Gene Hammett: rewriting the rules is pretty interesting because is that another way of saying you’re, you encourage them to actually go out there and try things they’ve never tried before and it’s okay to fail. Janel Laravie: Oh yes. Yeah. Fail fast. The fail often and fail fast is a mantra that everyone should live by, right? The more you fail and the faster you do it, the smarter you are going to be then your competition. Gene Hammett: Yeah. Especially in advertising because unfortunately not everything works. Janel Laravie: No, it doesn’t. And you know the, um, the other thing I always tell everyone is that when something defies logic, when you think I’m going to test this and this is going to win and it’s gonna be amazing and it doesn’t, please stop and ask why, why didn’t it? What? Why, why did it defy your logic? Because understanding that is what makes us smarter, but it also makes us stronger. It makes us stronger than the next person and I think that this is, um, I mean the learning aspect of our culture here is so huge that we are constantly, um, we were being tapped by Google and facebook and other large companies to test new features and products, um, Alphas and Betas, things that are being released to the general population because we are going to figure it out. We’re going to figure out what worked, what didn’t work, why didn’t it work and how are we going to do it better next time. Gene Hammett: When you think about your business and the growth you had, you had given me a kind of a mantra behind this and I don’t know if this is exactly the way you would say, you know, you really believe people first, right? Gene Hammett: Yeah. Where did that come from? Janel Laravie: Yeah. You know, it’s interesting because I hear it in a lot of places, but our, um, our marketing person came to me and said, I think we should position ourselves as people first because we really do it. Um, and it’s not just within our, within our own walls, it’s outside of our walls and it’s in everything that we do. I think that if someone follows a Chacka, his own social media, you, you would just be shocked at the amount of involvement our groups or our team here has in our community and in our clients, in the industry, and that even from the highest level person here to the lowest level person here, everyone has an opportunity to become a thought leader to be published in the industry into, um, and to have a voice. Gene Hammett: No, that’s another one of the disciplines. And I know you’re not that familiar with the work I’ve done, but last year when I talked to the inc 5,000, I interviewed over 51 cos like you. Uh, so this is part of my journey this year is to interview a lot more. Which one of those disciplines was to create internal brand ambassadors, which was not just people you know, you don’t know what internal meaning it’s the employees. You don’t have to pay for it. But the brand ambassadors being, they’re speaking, they’re writing, they’re becoming a voice inside the community. And you’re saying that, what impact has that had on your business overall? Janel Laravie: Oh Wow. I mean, I think it’s hard to even quantify the impact simply because I’m. Everyone knows that the cost of training new employees is, is one of the most wasteful things that you can have occurring in your business. Right? So I think that, um, I, I think that this all plays into creating a culture that people want to be a part of and they want to participate in. And I think that’s invaluable. Gene Hammett: The, the training that you’re giving. I mean, give me an example of something you’ve done recently. Is it, is it all technical training or is there something else that you guys are doing to help people with the way they think and creativity or innovation? Janel Laravie: Um, yeah, I mean, so I think there’s the standard things that we do that some companies do take for granted. Um, but I think getting employees out to conferences, um, might sound really, really simple, but if you are only thinking about getting people out to conferences and sending salespeople to drum up new business, then you are missing the opportunity to create the strategic leaders of tomorrow because every time I send someone that is fairly young in their career, out to a conference, they eat it up. They come back and they’ve thought about things differently than they’ve ever thought about them before. They’re being exposed to things that they’re not exposed to in their everyday lives. And getting that exposure to things that are outside of your norm is again, the key to growth. And if we want to grow and we want to become a company that continues to stay on the inc 5,000 list because yes, my goal is to make it a third time because it’s an elusive thing to make it three years in a row. And that’s the goal for next year. Um, but you know, this, if you want to stay on that track, you have to clearly identify what’s working and what’s not working and be ready to change. Gene Hammett: You know, it’s interesting you talked about, you said the word think differently and exposed to new stuff and part of the growth culture that I was talking about earlier requires that companies not just think about owners being transformed, but how are the people that are in the teams being transformed? You’re smiling about that. Is that something that you value and have seen seen work for you? Gene Hammett: awesome. I love the fact that you, you know, you do think about growth. The other thing, you know, growth is intentional. It’s not something that happened because you just, you stumbled upon a good idea. Um, you, you built a team around this. You’re investing in your team when you talked about values. I guess I’m just curious, like what, can you share with me the other values that you guys have? Janel Laravie: Yeah. So we have three core values, trust, pride in hunger. Um, so pride, we actually already touched on, um, so pride is exactly what I was talking about earlier in the podcast and that is that we take pride in what we do and the contribution it has on everyone around us. Um, I buy from my clients if I wouldn’t buy from them and then wash it someone else, right? And if they’re not a company we would buy from then they’re, then they’re not, they’re not a good client fit for us. And so we, we lead with that mentality. Um, and we live it. We breathe it. Trust is, is that we build trust by owning our successes and our failures. Um, owning those successes and sharing those is fantastic, but if we don’t share our failures than someone else is destined to repeat it. Janel Laravie: And so that’s how we build trust within our own team and outside of our team is sharing the good and the bad. Um, the, the pride aspect and the hunger aspect. So there are three very simple, very clear cut core values. Gene Hammett: When you started creating these values, I mean, how long ago was it when you came up with these three, do you remember? Janel Laravie: Um, I think I actually laid them out for the team about two years ago. Okay. And I wish I had done it sooner. I will tell you what the barrier to, uh, to listing your core values out for your company. Um, the, the biggest barrier for me was that I’m not, I’m the founder of this company, this, so the core values should have always been mine. But in my case I always tried to include others and they became very much for the website or for a proposal. And you have to put all that aside. You say who started this company and what is at the core of them, and in the case of, um, in the case of chocolate it was just me and I had actually overly involved other people and listing out what these were. So I, I wrote down what my core values were, what was the core of me and important to me in what we all exhibit in our everyday life here at Chaka. And then I shared it with my leadership team and they said, this is it, this is it. So it doesn’t have to be 10 things or seven things. It’s really what, who started who, who is, who is the core and what are their values? Really easy concept. Gene Hammett: So I want you to think about this and I’m putting you on the spot here. You get ready for a game. What’s the first name of the last employee you hired? Janel Laravie: The first name of the last employee I hired Derek. Gene Hammett: If we asked Derek right now what the three values, where would he be able to tell us? Janel Laravie: I am, because I’ll tell you the other, um, the other thing that I, um, I changed here is that instead of having to train people on what these core values are, I’m, I personally review core values with candidates when we interview them. Gene Hammett: Yeah. That’s what I was looking for is like what’s, what are the things you do because you’ve already said that it’s reinforced when everything you do. It’s a part of the, the what makes you guys live and breathe. Gene Hammett: And um, it’s just such an important thing to culture and growth. We have. When I think about, you know, what you’re doing here. Janell. I’m really impressed. Uh, I don’t say that lightly, you know, getting two, three, 67 on the list of, of, of other companies that are competitively going after this, but you still are putting employees first. I do have to ask you this because we haven’t talked much about this. One of the measures you ask about Israel, employee retention, what are the top two or three things that are most important for you guys to be doing? The behaviors that make and retention easier for you? Janel Laravie: Yeah, so I think I’m one of the reasons I’m so confident that everyone here knows what the core values are and could and could recite them and what they are. I think you would get a little bit of variation on the, on the verbiage surrounding them, but I knew they would get them all right. We do core value shout outs on a regular occurrence usually on Friday afternoons where people get to shout out other team members for exhibiting one or all of our core values. We also have a peer voted award called a Chaka Star and the Chalk Star award. The submission for it. The nomination form is how does this employee exhibit trust? How does the employee exhibit pride? How does it simply exhibit hunger? And that’s the questionnaire and getting to sit on that committee as a judge. Um, it’s leadership within the company, but it’s also, um, um, we incorporate historic winners and things like that. So there’s, um, there, there’s this, this again a culture of living and breathing these things. Gene Hammett: How often do you agree with that award? Janel Laravie: They award is quarterly. Gene Hammett: Okay. So if that’s something like you have to wait for the year to get. I didn’t get it this year. You can. I liked that. Um, that you’re making a little bit more often than what most companies would. Janel Laravie: Yeah. Yeah. And you know, I think that in a company of our size, monthly is probably too much. Um, annual not enough. And so, um, so quarterly. And there are some, there are fun perks that come along with that. So if you’re the winner, you get to pick, you get to pick what we have for lunch and learn on Fridays for the, for the next quarter. And you know, just little, you know, little things like that that really go a long way with them. Gene Hammett: Did you know the, the place that makes me think of that and you can share this story with your audience if you want. Um, I’ve got a picture of this over here somewhere. Here it is. I’ve never shown this before. So it’s just a framed menu from the masters. Are you a golfer? Not that I’m familiar with the masters. Okay. So every time someone wins the masters that year, they get to set them in you. Okay. For the Master’s Club dinner, this is signed by all the previous champions that are living that. So you know, you’ve got like a Raymond Floyd, tiger woods. You’ve got, um, Phil Mickelson, and I share this with you because, you know, it’s an honor to be able to pick the food for everyone. Janel Laravie: Does it? So you can say Stanley Cup style trophy. You can’t even see how big my hands are, probably between two and three feet tall. And um, and so we add up a name plaque to it each time someone wins and we will keep building it up. Just like the Stanley Cup. Gene Hammett: I love this, this small thing that has turned into something that really exemplifies the first time. Um, when you think about growth, I’m going to give you a chance to take this anywhere because I’ve been kind of leading the conversation a little bit. Um, as a leader, what is it? You’re shifting because what got you to three 67 may not get you on the year, the list for the third time. So what are you thinking about the shift in your own leadership? Janel Laravie: I think that what you’re doing today is actually driving outcomes much farther in the future then tomorrow. Um, so I think that what I’m working on today is going to have more of an impact probably two and three years from now. So I think it’s really always I’m having a very long vision for the future. Um, but it’s also shifting in the goal setting. So it seemed based on where we are now, what is the next goal and always being ready to set that next goal. Is, is how you, you keep of vision and teams need vision. Janel Laravie: Yeah, they do. When you brought up the concept of goal setting, so we’ll kind of start wrapping this up. Is there anything you do different than what you think the, the, the common leader or common company does when it comes to goal setting that you could share with us? Gene Hammett: Um, yeah, so most people, all my life, I’ve heard them say set achievable goals. Janel Laravie: Set crazy goals, set goals so crazy that it doesn’t matter if you hit it because hitting even getting halfway is better than everyone else. Set crazy goals. I set crazy goals. Gene Hammett: I interviewed a billionaire the other day, um, and you know, one of the things he talked about was doing something just absolutely so audacious that if you got there, it engages the team around that goal. Like would your team be inspired by a 10 percent increase in revenue this year? Gene Hammett: but if you said we’re going to triple, I don’t know what your goal is, but um, do you have a goal for, for this next year, revenue wise have to share it. You don’t have to share it. Janel Laravie: Yes, we do have goals and we think of our goals both in terms of gross but also, um, and so we kind of have goals at varying levels, um, but it’s also really understanding how, how different goals align with different individuals. And so we’re actually in the process right now of switching up our, um, our bonus incentive structure based on who people, what people’s job responsibilities are. Um, and so it’s to better align the performance, the, the, the monetary incentive with what the desired outcome is for various job roles. Gene Hammett: Awesome. Well that gives us a pretty good idea of who you are and what you’re doing. I know we didn’t talk a lot about the marketing of this, but if it, if, if anyone listening in here is interested in and really talking to you about marketing for their company and driving revenue, we know your people first. So where would you send them to? Janel Laravie: Um, I would send them to the contact page on our website if you, um, email through there. It actually does come to me. I, I read them all. And um, I, I hope that when we’re a 100 person company, I am still doing the same. Gene Hammett: Well that’s marketing.com. We’ll put that information inside the, the show notes here. And uh, I really appreciate you being here to know. Janel Laravie: Thank you so much for having me. It was a blast. Gene Hammett: What a great interview. I love talking to people that are growing so fast and so clear about who they are and what they’re doing. You can see it in her eyes and if you’re not watching the video, you can hear in her voice about what does it take to grow or her business that is putting people first. No, I love what I do. I love having these conversations. Hopefully you’re loving it too. If there’s anything I can do for you, make sure you reach out. If you see any error messages out in the social channels, whether it be Instagram, Linkedin, Twitter, Facebook, make sure you actually a comment those or share them or hit a hit a heart or two because it helps us actually reach more people. It costs you nothing and it helps us spread the word of leadership and growth culture. All right. My name is Gene Hammett. I work with hypergrowth companies and those that want to understand the chaos of growth and become the leaders that can really be intentional about creating a growth culture. Alright, I’ll see you next time. As always, lead with courage.